great pictures John. I think the master is Tom Pierce isn't it? Ron - Biffer - Smith. Physics. 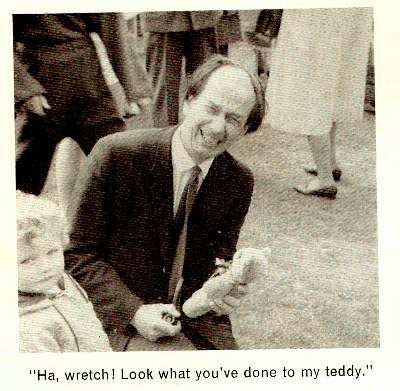 "Ha, wretch!" 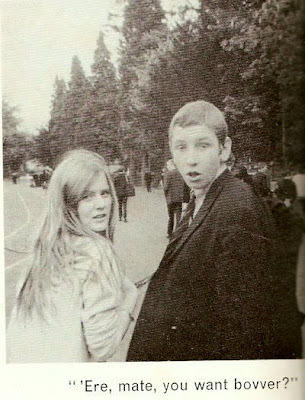 Hi Jim and all ... yes, great pictures !!! 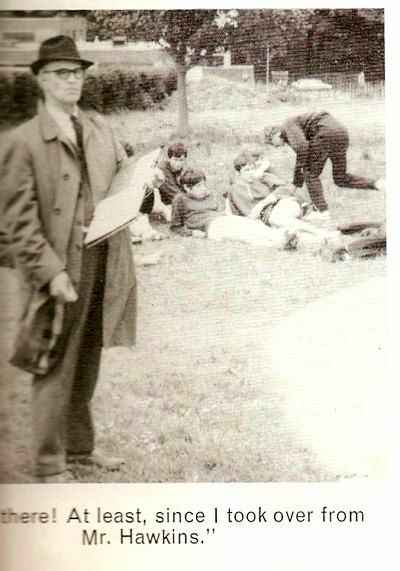 Mr Perkins, of course, and next to him Philip Brooks. 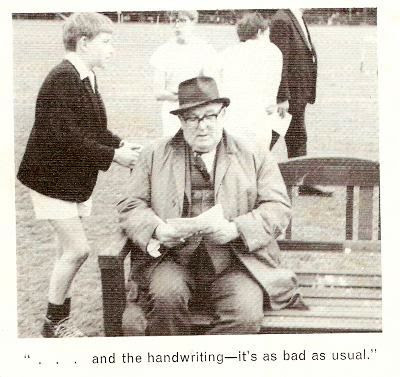 Brian Bass - who I think went on to become headmaster of Manchester Grammar School. 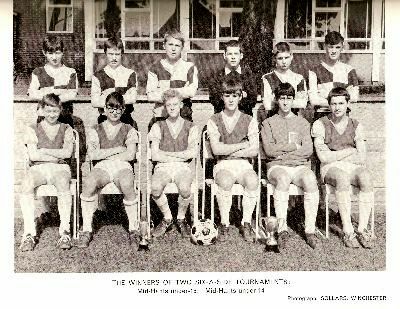 BGB helped keep the choral tradition going at PS and I was in the same form as his son Julian at both primary school and at PS. 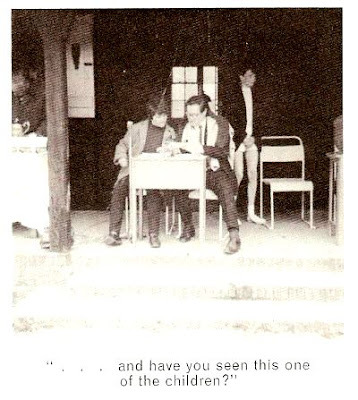 I think that the person sitting next to him is Mrs. (Elizabeth) Batt who temporarily helped teach Geography after the death of Mr. Northeast in the Autumn term of 1968 and was the mother of OS Mike Batt of (inter alia) the signature tune to the Wombles of Wimbledon fame. 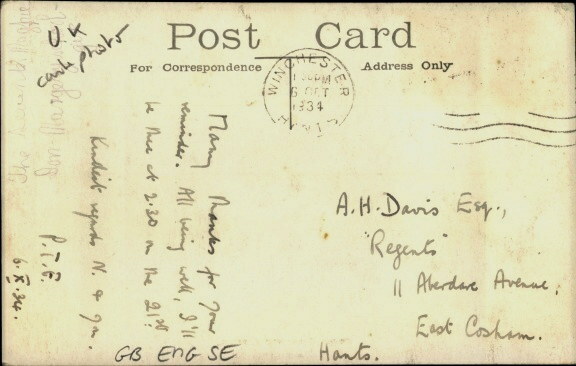 The above postcard, dated and posted on Sunday 16th. 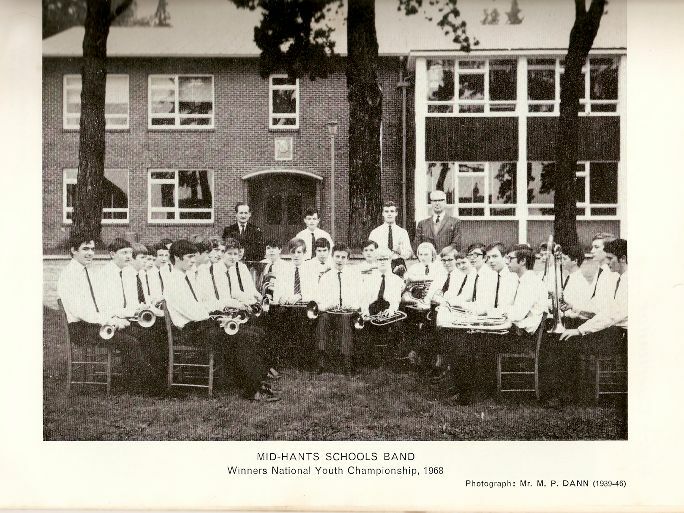 July 1939, was sent to a Musician J. Hughes serving, at the time, on H.M.S. 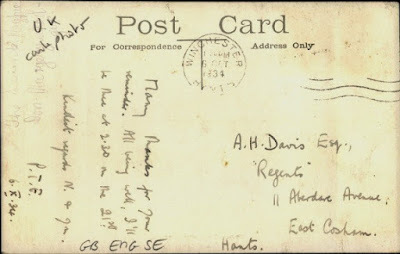 Eagle ... As a matter of interest, HMS eagle was sunk in the Med. by a U boat in 1942. Musician Seaman Hughes does not appear in the casualty list, so hopefully he was one of the rescued, if indeed he was still a crew member at that time. 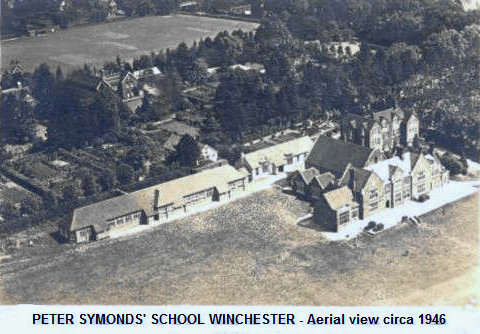 The front of the postcard shows an aerial view of Peter Symonds' School, and it is possible the original photo predates the card in 1939. 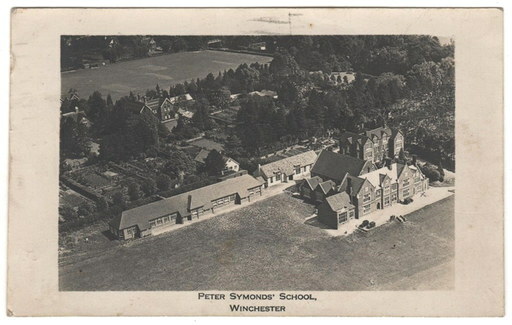 Another postcard with the same aerial photo of the School has been found by John Piper ... this time, the card is postmarked 'Winchester 6 October 1934' and the signature 'P.T.F.' suggests it was sent by Doc. 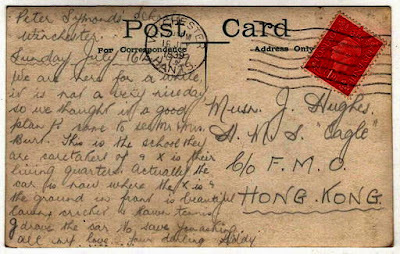 Freeman to a Mr. A.H.Davis. I think the 'ha wretch' photo might be Mr Mancey-Jones, who taught me Latin for two years until I unsuccessfully ad lib 'ed my way through an exam. If you could get him talking about Ancient Rome, he would witter on for the whole lesson an no Latin would be done. Result. He lived at Tegdown. Not sadistic, unusually for Peter Symonds.